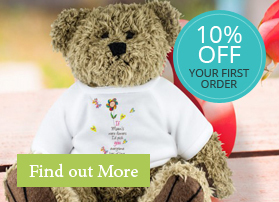 As a welcome gift to all of our new customers, we're offering 10% off your first order with us. Simply enter the code FIRSTTIME at the online checkout when completing your order to take advantage of this offer. Over 18's only. Cannot be used on sale items, or in conjunction with other offers or delivery charges. Applies to your first order only, subsequent orders will be charged at our standard rate. 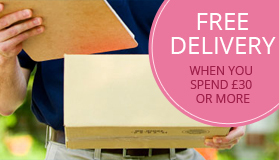 At Personally to You, we want every part of your order process to be easy and cost effective, that's why we are offering FREE DELIVERY to all customers inside mainland UK when you spend £30 or more, simply select 'Free Shipping' on checkout to save on delivery. Free Delivery covers 'Standard Delivery' to mainland UK, orders should arrive within 3-5 Working Days. If you have any questions regarding our offers, please contact us.